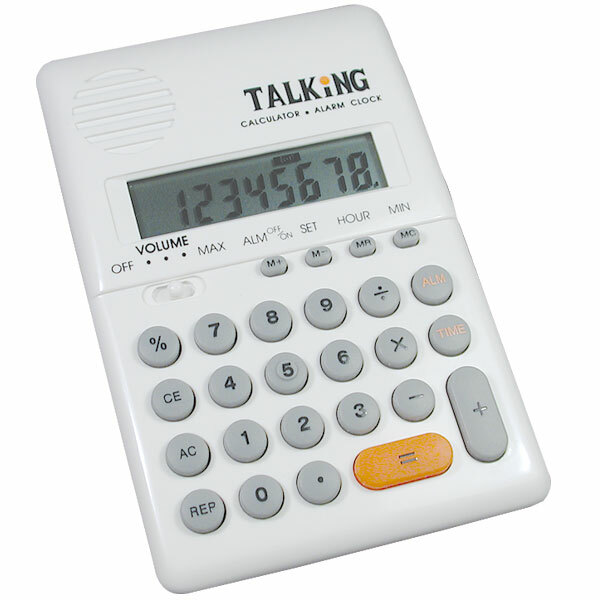 Handy pocket size talking calculator with clear audio entries & results displayed on the LCD screen. 8 digit calculator with memory. LCD alarm clock. Adjustable volume. Repeat.